Kathy O'Faolain is an American woman who seems to have it all—a loving husband, a satisfying job helping troubled teens, and an adorable young son. She lives happily with her Irish husband, Pearse, in Dublin—but her life is forever changed when Pearse's brother is murdered by Protestant terrorists in Northern Ireland. When Pearse feels obligated to return home to the north and take over his brother's role as a Republica activist, Kathy's life is turned upside down. Struggling to understand the hate that plagues this troubled land, she watches the violence creep closer and closer to the people she loves—and soon she must make a heartbreaking choice between her husband and her son's future. "BORDER CROSSINGS is a searing look at a family caught in the maelstrom of a tragic political conflict. 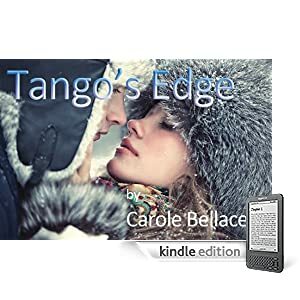 Carole Bellacera has captured, with amazing believability, the passions and the hatreds that fuel the Irish Troubles." -- Tess Gerritsen, New York Times Best-Selling Author of HARVEST, BLOODSTREAM, LIFE SUPPORT. "For a first novel, BORDER CROSSINGS, is a fine achievement indeed. The characters are sharply drawn; one both understands and cares about their relationships. The central theme, that of a woman's love for a man caught up in violence, is not exclusively Irish. It will strike a painful chord with readers everywhere." --Morgan Llywelyn, author of 1916. "A powerful and deeply moving story of terror, death, hope and love, Bellacera's novel is remarkable for its intensity and vivid portrayal of life in Northern ireland at a time when peace seems almost impossible." -- Library Journal. "The futility of the continuing pattern of violence and hatred is wrenchingly portrayed. A most memorable novel". -- Jill M. Smith, Romantic Times -- 4 1/2 stars! "BORDER CROSSINGS is a stupendously big book and Carole Bellacera is an important new talent. I devoured this one quickly and then wanted more! You could call it women's fiction because it will touch the female heart, but the issues of the Irish Troubles that never end are compelling well beyond gender." -- G. Miki Hayden, author of PACIFIC EMPIRE, BY REASON OF INSANITY. "The opening scene of BORDER CROSSINGS hits you like a Mickey Rourke punch! With deft pacing and a rich cast of characters, Bellacera writes a tale that is at once high adventure, political thriller, and tender love story. She knows the stark beauty of Ireland, the partisan violence that scars it, and the secret ways that love can heal." -- David Daniel, Award-Winning author of THE HEAVEN STONE and THE SKELLY MAN. "In BORDER CROSSINGS, Carole Bellacera has created a moving portrait of a family ensnared in the violence and uncertainty of the Troubles in Northern Ireland. American Kathy O'Faolain's struggle to come to terms with her beloved husband's devotion to a way of life she can never understand brings the political turmoil down to a human level, as the battle between the Protestants and the Catholics threaten the one thing Kathy has never doubted: her marriage to Pearse O'Faolain. A well-drawn cast of characters and a fast-paced plot will keep the reader turning pages, while Kathy's fight to save her marriage, and ultimately, herself, will live in reader's memories long after they reach "the end." -- Cynthia Sterling, author of PATCHWORK HEARTS and A WILLING SPIRIT. "In BORDER CROSSINGS, Ms. Bellacera has created a moving, powerful and memorable story. The author writes with insight and compassion about the O'Faolain family, as seen through the eyes of Kathy O'Faolain, an American woman married to an Irishman and living in Northern Ireland. It is a story about responsibilities and passion; about family, loyalty and love; and mostly, it is about the human spirit. Quite simply, BORDER CROSSINGS is breath-taking!--C.A. Keenan, author of RUMOR HAS IT and BABY, IT'S YOU. 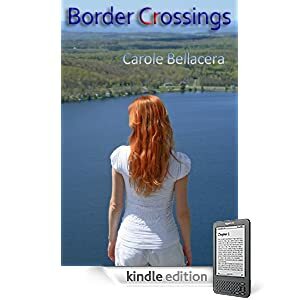 "Carole Bellacera is a rare talent who deserves to cross the border from new author to potential bestseller for her debut novel, BORDER CROSSINGS. From the first page to the very last, it's impossible not to be swept away by the tide of emotions that march across Katherine O'Faolain's heart--from love to bitter hatred, from helplessness to hope that rises when she grasps at a tiny shard of light. Hats off to Ms. Bellacera for reminding us that love can conquer even the most war-torn world and uncertain future. I can't wait to read more of her work." --Amy Sandrin, author of SNOW KISS. The schoolgirl came home first. Like thousands of others all over Ireland, she was dressed in a Catholic uniform consisting of a dark green plaid skirt, knee socks and a heavy bulky sweater. She stood at the gate with her pretty blond friend, swinging her book-bag and laughing. Jack Robinson took a draw on his cigarette and stared at her from the sidewalk table of the pub across the street. It was a glorious afternoon. A fresh breeze drifted in from the banks of Lough Erne, bringing with it the sweet perfume of summer flowers. An hour earlier, the sun had broken through the clouds, drying the cobbled streets from the mid-day rain and sending the temperature soaring into the sixties. Although he had grown uncomfortably warm in his long coat, Robinson didn't move to take it off. He studied the schoolgirl, his eyes narrowed. She was pretty enough, he supposed, for a Catholic. Her auburn hair fell to her shoulders in a riot of curls, and although he guessed she was only about fourteen, she had firm lovely breasts and a cute little bum under that plaid skirt. Briefly, he wondered what it would be like to taste a bit of crumpet like her. But he didn't do Croppies, not like...He shook his head, banishing the thought before it could take shape. He didn't do Croppies...period. Croppie. How that word brought back memories of his childhood. Ugly memories of a school play-yard and filthy little boys chanting that word over and over. "Croppie...croppie...Jack-o's a Croppie." But he'd put a stop to it. He took a sip of Guinness, savoring the ale's smooth dark richness as it slid down his parched throat, then glanced at his watch. Five-forty. It wouldn't be long now. As if in answer to his thoughts, a black Renault pulled up to the curb in front of the house across the street. The blond girl waved to the redhead and walked off toward the town center. A tall bearded man unfolded his length from the car and met the redhead with a hug. She laughed up at him and withdrew a sheet of paper from her book bag, displaying it proudly. The bearded man studied it and hugged her again. With his arm around her shoulders, they climbed the stoop into the house. Robinson stubbed his fag out in the ashtray and stood up. He dropped a few coins on the table and walked away. On the corner, his eyes met those of a man lounging against a shop window. Robinson nodded. The other man tossed his cigarette to the sidewalk and ground it out with the heel of his boot. He straightened. Robinson crossed the street to where the borrowed Volvo was parked. Looking neither left nor right, he opened the boot of the car and in one smooth movement, tugged a woolen ski mask over his head. He then swept up a sub-machine gun and tucked it into his coat. He turned and saw the other man crossing the street toward the target house. He, too, wore a mask. Robinson followed him, still hearing the children's mocking voices in his mind. "Croppie...Jack-o's a Croppie...". He would shut them up. He had to. "To be sure, Susie O'Donnell thought she'd won it," Aisling O'Faolain said to her father as he followed her into the house. "She did a sketch of the Janus face on White Island. It was good, but there was no life to it, Da. Sister Marie said my sketch was the best she'd seen in years." His hand pressed into her shoulder. "That's no surprise to me, miss. I've always said you'll have an exhibit in New York some day. Peg! We're home, love. And your daughter has won a prize for her turf-cutter sketch." Two freckled little boys ran into the hallway and threw themselves into their father's arms. "Hi, Da. Did you bring us a sweet?" piped the older one with a gap-toothed grin. He knew very well that Da always brought them sweets. As Kennet O'Faolain searched in his pocket for a roll of candy wheels, an attractive woman entered from the kitchen, a plump baby on her hip. "What's this you said? Aisling won a prize?" "Aye, Mum." Aisling held the parchment certificate in front of her mother's face. "First place for 'Turf-Cutters' by Aisling O'Faolain. Isn't it grand?" Smiling, her mother eyed the award. "It's lovely, girl. Put it somewhere safe, though. You'll need it when you apply at Trinity." She looked at her husband and sighed. "Oh, Kenny. Must you give the lads candy so close to tea?" With a shake of her head and a forgiving smile, she turned back to the kitchen. "Wash up, Aisling. Tea will be ready in ten minutes." "Right, Mum." Aisling moved toward the stairs. Sure, but she was famished. And wasn't it a tantalizing aroma wafting from the kitchen? Lamb stew, she hoped. She was halfway up the stairs when the front door burst open. Startled, she dropped her certificate and looked down into the foyer. Two men in long coats and ski masks entered the hallway. Aisling's heart froze, and her hand flew to her mouth as her father turned to them. The first man pulled an automatic weapon from his coat and fired. A crimson flower bloomed on the back of her father's sweater. Then another one, and another. He tumbled to the floor, his eyes staring blankly at Aisling. She sank to the stairs, her hands clutching the sides of her face, her eyes locked upon the blood-soaked body of her father. The boys began to howl. In her fogged brain, Aisling heard her mother's panicked scream from the kitchen, followed by the sound of her footsteps ringing on the linoleum. The two gunmen exchanged a glance. One of them gave a brief nod. Aisling opened her mouth to scream a warning, but nothing came out. Her mother burst through the doorway, the baby still in her arms. One gunman turned his sub-machine gun toward her, his finger on the trigger. He hesitated, his eyes on the baby. Her mother stared at her husband's blood-stained body, her face alabaster. The gunman who'd shot Aisling's father crossed the room and took the baby from her mother's arms. His eyes met hers. Slowly, she sank to the floor, closed her eyes and began to pray. The gunman with the baby stepped away and gave a nod. But she knew her protests would make no difference. She squeezed her eyes shut and covered her ears with her hands. Still, she couldn't stop herself from flinching when the short staccato burst of gunfire rang out. She felt as if her blood had frozen solid in her veins. Moments passed, and still she was afraid to open her eyes. She heard her brothers weeping...and the screams of baby Barry. Then she became aware of a presence nearby. She opened her eyes, careful to keep them away from the spot where her mother had knelt. One of the masked gunmen stood on the stairs below her, his dark eyes winter cold. He had Barry in his arms. The baby screamed incessantly, his face deep mahogany. The gunman climbed the stairs. Aisling sat frozen, watching him. He stopped on the step below her. Numb with shock, she returned his appraising gaze. "You're a piece of work, love," he said, his voice raspy and muffled under the ski-mask. A voice she knew would live in her dreams forever. His hand reached out and touched a strand of her gleaming hair. She flinched. Through the slits of the hood, his eyes hardened. He placed the baby into her lap, turned and thumped down the stairs. He disappeared through the front door and the other gunman followed. The door closed behind them. Aisling's body began to shake. She clutched baby Barry to her, unable to move from the stairs. Gradually, his cries softened and soon, he was gurgling and reaching for her nose with a sticky hand. She gently drew his sharp little fingernails from her face and slowly, abstractedly, began to stroke his warm back. His hand tangled in a strand of her wavy auburn hair. As she rocked him, her eyes dropped to the carpeted stairs where her certificate of award had fallen. It was splattered with her father's blood.